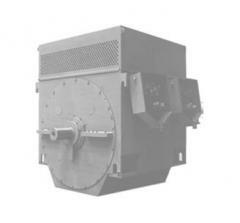 Engines asynchronous with short-circuited rotor series AMU 112, 132, 160, 180, 200, 225, 250, 280 are general industrial use . They are made for deliveries in countries with moderate ( kind of climatic execution have 2) and tropical ( kind of climatic execution T 2) climate . Binding capacity engines to the mounting - lashing size corresponds standards DI N 42673 and DIN 42677 ( CENELEC ). 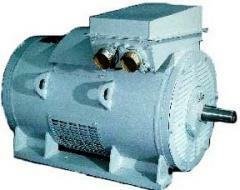 It is an analog electric series ABB, SINENS, NORD, WEG, Besel , SEW-EURODRIVE and other manufacturers. Designed for operation in mode S 1 by network three-phase alternating current frequency of 50 Hz and 60 Hz on one of the standard voltages from 220 In to 660 In . The degree of protection - IP 54 (in agreement - IP 55). Class of isolation - in , the F, H .
IM 3081 ( B5 , V 1 , V 3); for MCA 250, 280 - IM 3011, IM 3031 ( V 1, V 3) - without tines with the flange . 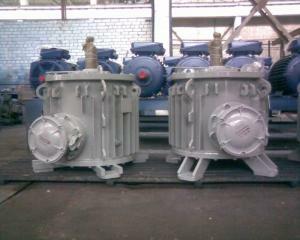 On one or , on agreement with the manufacturer , with the two ends of the shaft . Unbelievable price on AMU160L4 in Novaja kakhovka (Ukraine) company Novokahovskij Elektromehanicheskij Zavod, TPO.